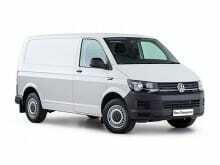 Please visit Volkswagen's website for a specification of the chosen model. The models do change on a monthly basis so please do confirm this with your sales person at the time of ordering. Short Term Leasing Ltd cannot be held responsible for any manufacturer changes. 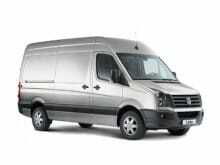 6 month short term van lease based on an initial payment of £399 followed by 5 monthly payments taken by Direct Debit. The initial payment can be made via Credit/Debit Card, BACS or CHAPS. Monthly Direct Debit payments will commence approx. 1 month from the date of delivery, unless otherwise agreed. Figures correct at time of publishing of 28th February 2019. + E&OE. Short Term Leasing Ltd offer competitive fixed and flexible vehicles with hundreds to choose from. Whist we try and remain competitive our deals change on a daily basis should you get a cheaper quote from another short term vehicle provider please send over the official quotation and we will do our best to match the offer. Body Type: There are various different body types, we generally have a set list we use to describe these vehicles; Hatchback, Estate, Saloon, 4x4, LCV, Coupe, Cabriolet/Convertible, although a few more may slip through from time to time. If in doubt call the Short Term Leasing team. Diesel Particulate Filter (DPF): DPF's have been fitted to most diesel vehicles to help meet strict European Emissions standards, for them to work efficiently the vehicle needs to drive at a steady speed for at least 15-20 mins, to allow the filter to heat up enough to regenerate. Non-Status and New Business start up applications are welcomed on this Volkswagen Transporter 2.0 TDI SWB over the 6 month period. Both businesses and private individuals have the option to accept or decline the terms offered. 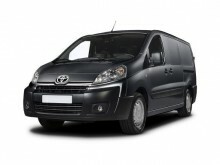 These Non-Status terms are not available on conventional contract hire and leasing options that we offer and is purely for our Short Term products available provided by Short Term Leasing Ltd and it's connected businesses.